Since 1994, MedTec has specialized in the development of state-of-the art laboratory test and validation equipment for the biomedical field. Innovative, reliable laboratory instrumentation designed with the emphasis on quality and customer service are what set us apart. MedTec is committed to providing quality products and services for our customers through innovation, teamwork and operations excellence. Check out what we have to offer and let us know how we can make your laboratory more efficient and productive. 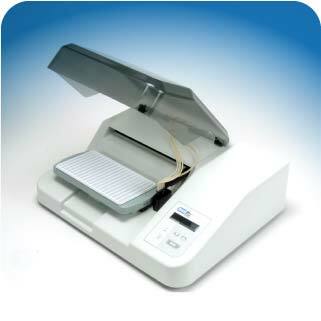 The AutoBlot 3000 fully automates the Western blot assay. Following the manual addition of test samples, the AutoBlot incubates, washes, and performs subsequent reagent additions as defined by the operator during the programming phase. 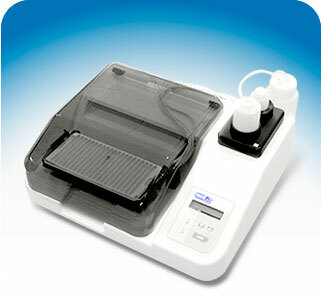 The AutoBlot 3000H has a heated platform (for genotyping), magnetic stirrer, and heated bottle plate for hybridizations and stringent washes that require heat. The 3000H comes standard with six pumps.